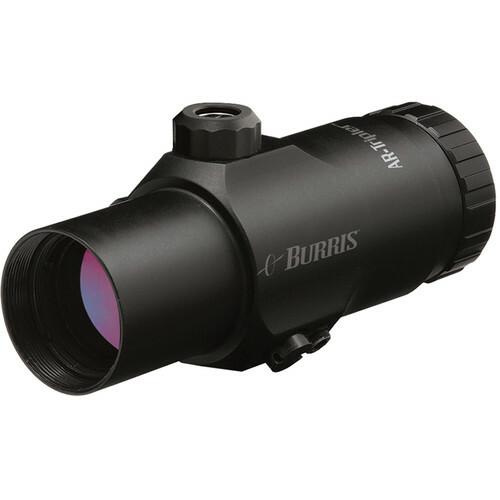 The Burris Optics 3x26 AR-Tripler is a 3x magnification optic that mounts inline with non-magnified optics, making it possible to go from close range to mid range sighting. It is adjustable to make sure that you can center this optic with your other sight allowing you to then fully utilize any elevation and windage adjustments on your current sight. The AR-Tripler features a field of view of 44' at 100 yards and has an eye relief of 2.5" for comfortable viewing. Additionally, this optic fits in 30mm rings.